If they had a cracking brunch scene in the Middle East, I suspect Flemington favourite, Phat Milk would be setting the standard. It has all the bones of a classic Melbourne brunch spot, but as you walk through subtle Middle Eastern features tell you this place is a bit different. There are a few pieces of Arabic inspired artwork throughout including a large picture of a woman with the most incredibly striking eyes, who appears to be watching over the room. Aside from this the fit out is modern and minimal just like any other café in town. 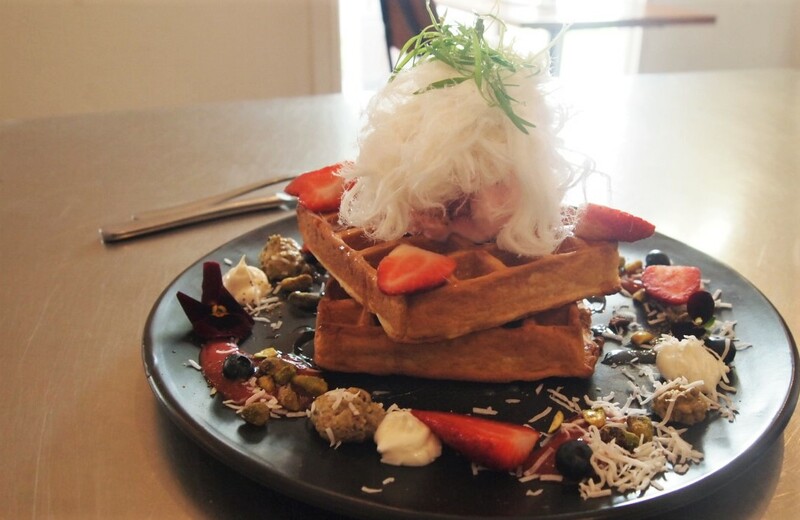 In forming the menu, they have creatively fused western and middle eastern cuisines by putting a exotic spin on all of our brunch favourites. Take the smashed avo for example, much more than your standard avo on toast, this generous dish includes soft Labne, a felafel scotch egg and perfectly roasted eggplant. Delicious, filling and a great adaptation of the classic dish. Another highlight is their avocado felafel fritters. Looking like a standard felafel, cut into it to discover a creamy avocado filling. 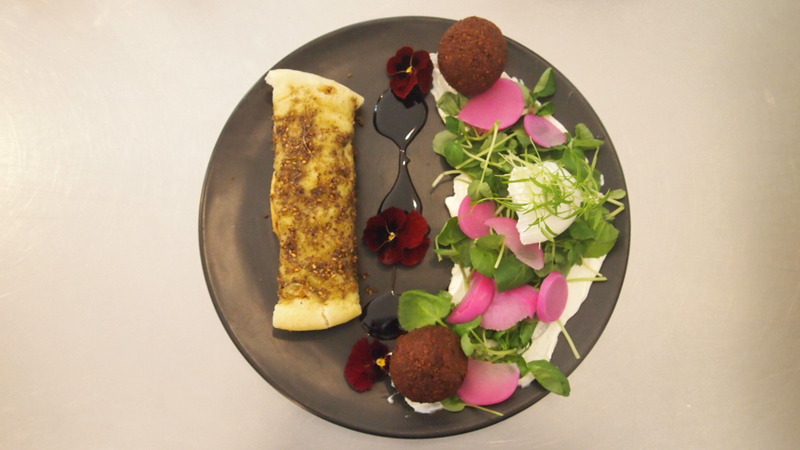 Place it in the Zaatar flat bread with a bit of Labne and watercress turnip salad to send your taste buds on a trip across the world. Full of flavour, it’ll have you licking the plate clean, the only shame is that there aren’t more of the felafels given the $18 price point. 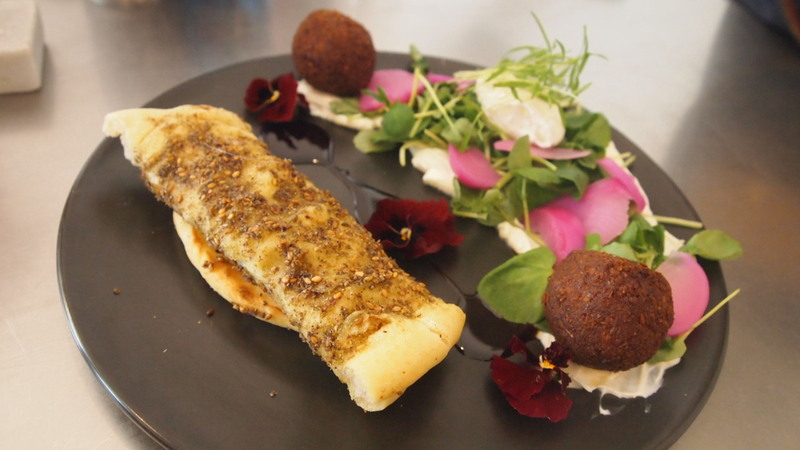 But be warned, if you’re not into classic Middle Eastern ingredients then it might be best to give this one a miss as the menu is heavily concentrated with exotic flavours. 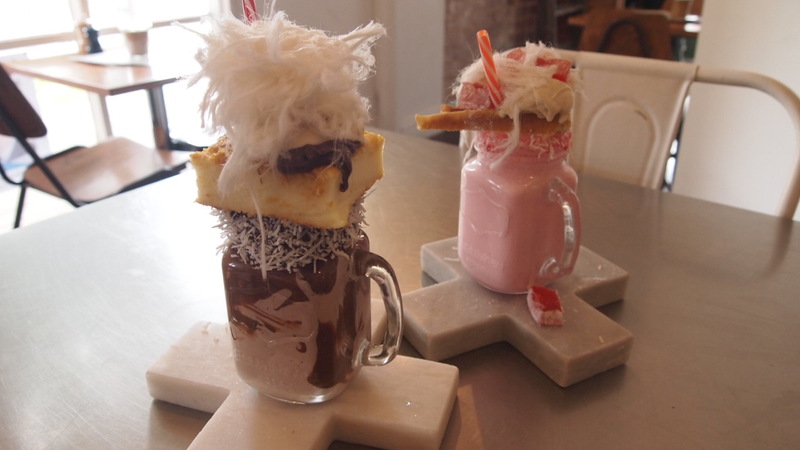 To drink, we ordered the Nutella and Turkish Delight shakes in what can best be described as a moment of madness. I honestly thought what we ordered were standard flavoured shakes, not the crazy sugar laden shakes that were delivered to our table. For some reason I thought that we were past this crazy shake fad, but apparently not. As decadent as they look, personally I don’t get any enjoyment from of these shakes. If I’m going to consume that many unnecessary calories I want it to be worth every sip and unfortunately these fell short of the mark. Lesson learned, from now on I stick to coffee! On a separate note, the general ambience was a bit cold, although there were others seated at tables around us, it was quiet and lacked life. No background music meant that pretty much everyone in the small dining room could hear everyone else’s conversations. At one point we were deep in conversation and I noticed it had more or less gone quiet around us, it kinda felt like we were being loud and obnoxious, which we weren’t but as a result, we found our selves almost whispering to each other, making things a bit awkward. 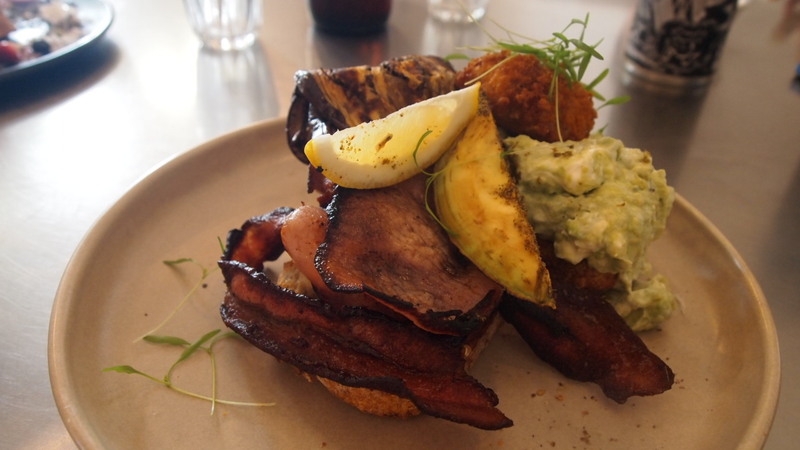 If you’re looking to change things up for your next brunch outing, give Phat Milk a crack, the food won’t disappoint. I have always had a thing about eateries that have disco music turned up so loud, you couldn’t hear yourself think let alone speak! Quiet is good for the stomach, if you didn’t know that already! As for those shakes, you want delish Belgian unadorned ones, visit the miniature cupcakes place in Degraves St, closest to Flinders St. Your fotos are improving. I’m with you on that one, can’t stand overpowering music but something low in the background helps to create a relaxed atmosphere. Thanks for the tip, I’ll check it out next time we’re in the area.